People who give in to their cravings are often seen as lacking willpower, with the inability to easily tame impulses commonly viewed as a character flaw, but this line of thinking assumes we all have the same ability to exercise self-control, and according to new research, that may not be the case. The results of a new study published in The Journal of Neuroscience, show that the grey matter volume in two particular brain regions serves as a predictor as to whether a person will reach for more a healthy or more unwholesome choice, suggesting that our self-control is strongly tied to genetics. According to models in the growing field of neuroeconomics, which studies the underlying brain functions behind the decision-making process, how we choose the food we eat depends on two mechanisms. First, we value the food item based on attributes like healthfulness and taste. Then, we choose the food with the highest overall value after we consider the importance or weight of each attribute. In order to investigate whether brain structure could predict whether a person would make a healthier choice during this process, researchers examined the dietary choices and brain imaging data of participants during the decision-making process over the course of four experiments. Throughout the study, researchers observed the brain images and decision-making of a total of 123 participants, 45 men and 78 women. In the first three experiments, the participants were placed inside of an fMRI scanner and shown pictures of food items ranging from items such as Brussels sprouts to cookies. They were asked how much they wanted each food, with answers ranging from a strong yes to a strong no, and told to make their choice based on either what their usual preference would be, by focusing on the palatability of the food or by considering its healthfulness. In the fourth experiment, the researchers did not supply any specific decision-making criteria. The participants were instructed to either choose to “indulge” or “distance” themselves from the food based on their taste-based cravings or to simply choose as they normally would. The participants were asked to choose the price point they would pay to eat the food at the end of the experiment, with amounts ranging from $0.00 to $2.50. The outcomes of the fourth trial were used to confirm the other experiments. Participants fasted for four hours before the trials began. Before starting, they were informed that at the end of the study, they would be able to eat one of the items from the study, which would be chosen at random from all the foods rated. If by chance the randomly selected item was one that the participant had rated as not wanting, then they would not receive it. At the end of the study, the participants even paid the self-chosen prices for the food they received. Throughout the trials, grey matter volume in two particular brain regions could serve as a predictor for self-control. The results of their study show for the first time that differences in the neuroanatomy of these regions can influence a person’s ability to make wise eating choices. The team analyzed the participants’ brain imaging data along with their food choices and found that the grey matter volume in the dorsolateral prefrontal cortex (dlPFC) and ventromedial prefrontal cortex (vmPFC) could predict each participant’s ability to focus on health and not think about taste when told to do so. Those with denser grey matter volume in these two regions displayed more dietary self-control and were more likely to make the healthier choice. According to the authors of the study, there is some debate among neuroscientists regarding which of these regions is the one that is primarily responsible for self-control. Widely linked to cognition, memory and emotional regulation, many experts believe that the dlPFC only actually comes in to play when attempts to resist impulses are successful. Generally, the vmPFC region is thought to be more heavily involved in decision-making and the process of valuation. “Pinning down how the two regions interact to influence self-control was outside the scope of our study. It is a matter for future researchers to investigate. 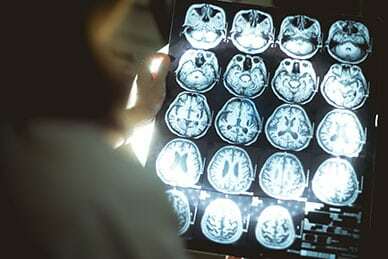 However, my personal theory, based on past research findings using functional rather than structural brain imaging techniques, is that the vmPFC is involved in the integration of various attributes such as healthiness and tastiness into a holistic value signal, and the dlPFC implements the self-control,” said Hilke Plassmann, INSEAD Chaired Professor of Decision Neuroscience and co-author of the study. “Our findings do not imply that there are biologically predetermined limits on people’s self-control. The structure of brain regions can change based on use as well as a host of other circumstances, an adaptive capacity known as ‘neuroplasticity’,” said Plassmann. The researchers believe that neurofeedback exercise techniques could be used as a potential therapy for those looking to improve eating habits. “In the future, we may be able to come up with brain-based interventions, so that you can change the grey matter density in these regions,” says Plassmann. Furthermore, the team’s research could be a first step in better assessing and treating eating disorders, such as anorexia nervosa and binge eating, which are linked to dysfunctional self-control. The team’s findings could also serve as a potential method for diagnosing at-risk patients. “It is not always very clear how to assess these disorders. The field of psychiatry is currently searching for more biological markers in addition to their existing methods. A certain pattern of brain structure could potentially be one of those markers,” said Plassmann.